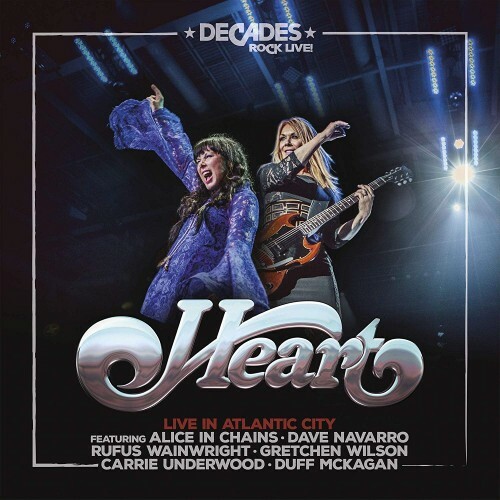 Description: The Decades Rock Arena in Atlantic City saw the legendary performers Heart being joined by several incredibly talented guest performers to create one magical night of celebrating music and friendship. And what a night it was! Part of this musical spectacle were country music star Carrie Underwood, Jane s Addiction founding member and former Red Hot Chili Peppers guitarist Dave Navarro, country singer-songwriter Gretchen Wilson and Canadian-American singer-songwriter and composer Rufus Wainwright. An exceptional highlight of the show furthermore entails the return of renowned grunge rockers Alice In Chains! Each guest artist had the chance to perform two or three songs together with the band, for instance Heart s Crazy On You , with Dave Navarro or Alice In Chain s Rooster . A joined performance featuring all of the guest artists of Barracuda rounded up a monumental show, which will now finally be released on audio, as well as visual formats for the world to enjoy.